Micro-Current Therapy is not new science, it has been around for decades. What is new is research showing that by keeping micro-current amperage in the pico Amp range actually increases the capacitance and health of the cell. ​The micro-current device we utilize is based on Nobel Prize winning research related to measuring the smallest current ever recorded. These scientists placed probes inside ion channels of a single cell and measured a current down to a Trillionth of an ampere. This is the electrical level our bodies neurological system operates within, and the output level of our machine, the Electro-Equiscope®. This research found that cells have between 30 – 40 different ion channels that accept outside electrons and each channel only accepts certain frequencies. They also proved that after the cells are stimulated with current in the pico Amp range, they end up having a higher capacitance over time and were healthier. With a TENS device, operating in the milli-Amp range, the cells ended up with less charge than prior to the treatment. 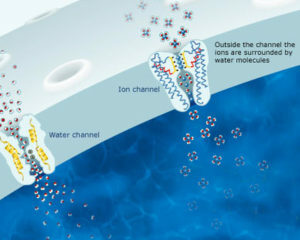 Additional charge makes the cells healthier and enable the body to heal itself dramatically quicker. Pain Relief TMJ, By Anthony Marino DDS. Thorp Institute is the #1 Micro-Current Machine Therapy Clinic and Training Center in the United States. Whether you’re looking to stay healthy, or want to learn about the latest industry trends, the Thorp Institute is here for you. Go to electraNU.com for more information on the Electro-Equiscope®.